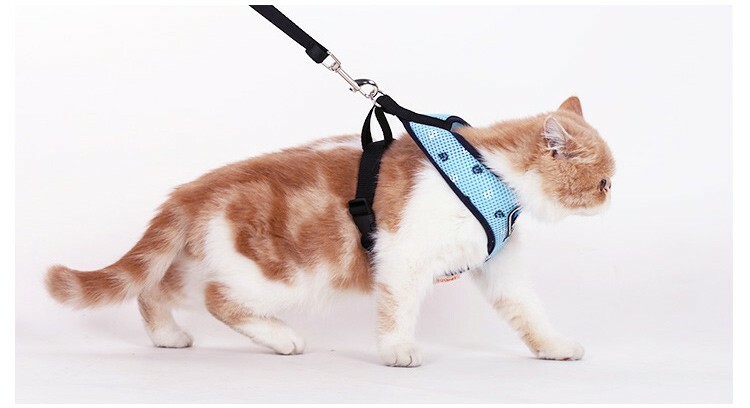 Pet Clever Adventure Harness, use breathable air-mesh fabric to keep your cat comfortable. 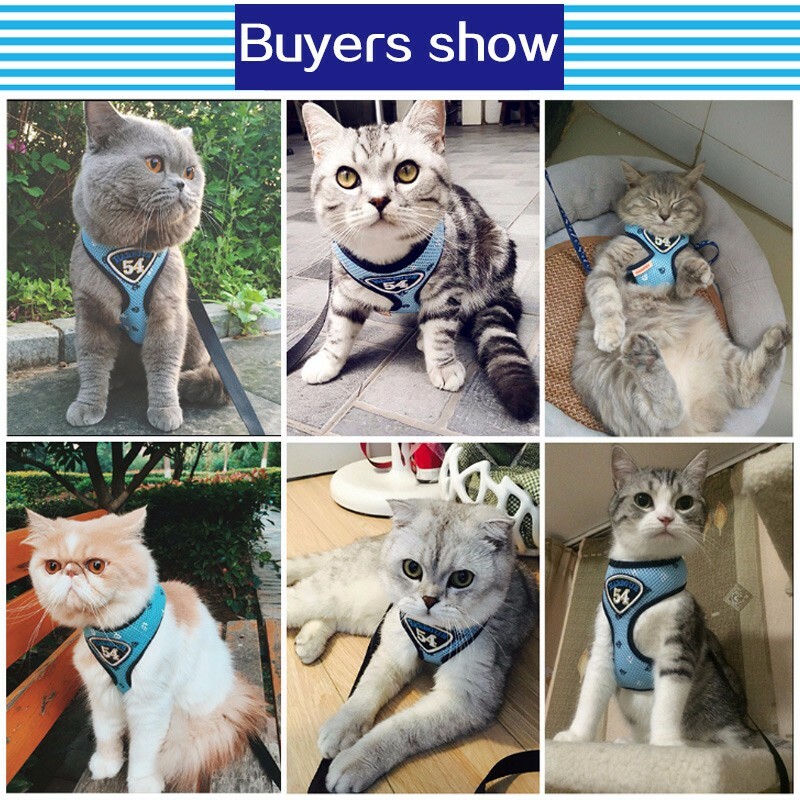 A well-fitting harness will keep your kitty safe and comfortable when walking, hiking and participating in other outdoor recreation on a leash. Soft flexible in the middle effectively breaks down the stress for the cat. Haven't been able to use it yet.